Measure defect size, standardize your process, and eliminate subjectivity from your inspection process. In traditional methods, using a different inspector each outage allots for subjective decisions. Even with newer methods such as using off-the-shelf drones still doesn’t tell you how big a defect might be. This leaves a great deal of uncertainty when deciding to repair an asset. 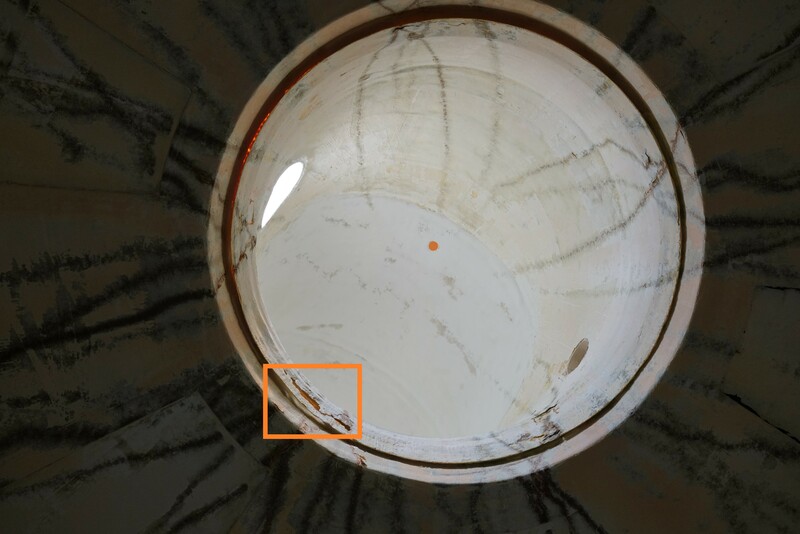 Outages are short and time is precious, by using our Photo Measurement Software, we can quickly and accurately assess defects with an exact measurement regardless of who is evaluating the photos. By tracking the size of a defect over time, you’re left with two vital pieces of information: distance & time. Having this information allows us to derive the rate of growth, giving your engineering team the power to predict exactly when repairs need to happen. Predictive maintenance through a drone is the ultimate tool for reducing unnecessary cost during outages. Using a drone to take photos of your asset sometimes just isn’t enough. For equipment to be truly useful in the field means it needs the ability to make key operational decisions. Deploying a drone inside your asset and solely determining that a defect just exists is only half the solution. But what if you could measure that defect and make true operational decisions based on your company’s fault limitations? 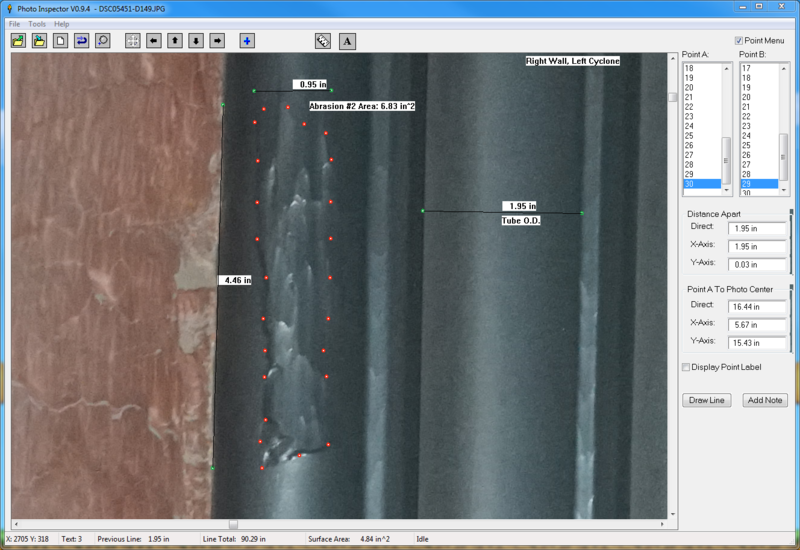 With Interactive Aerial’s proprietary Photo Measurement Software, inspectors can now measure defect size and standardize inspections as time goes on. 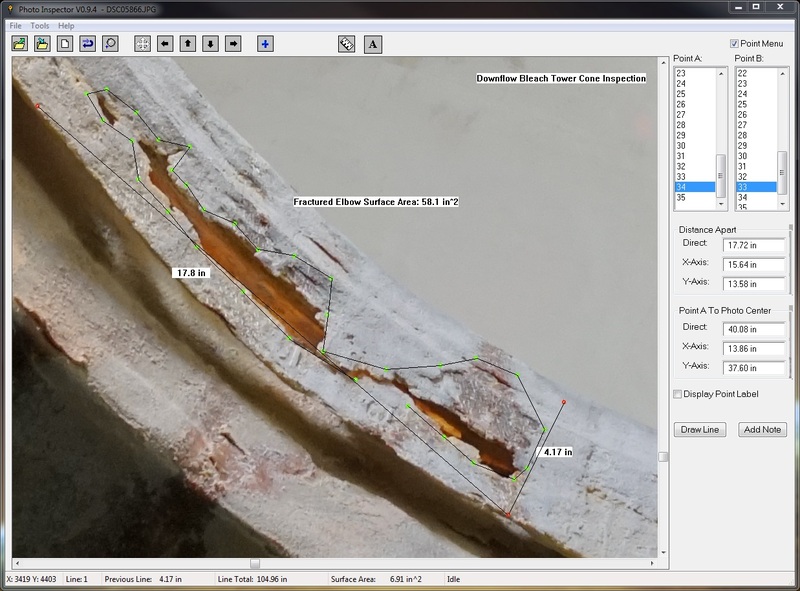 Quickly and accurately assess defects with an exact measurement regardless of who is evaluating the photos. 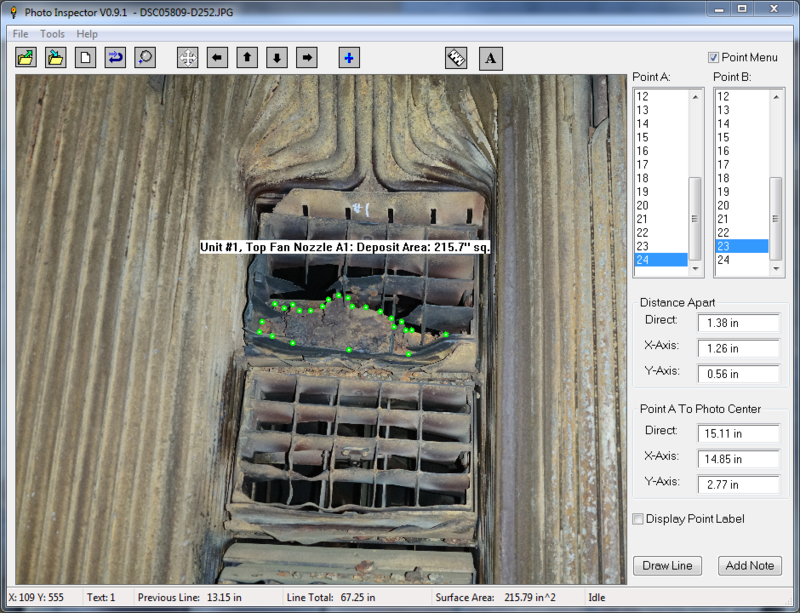 Software gives inspectors the ability to click or drag-and-drop two points and measure between them. Defects are not always perfectly straight. Our measurement software can easily measure non-linear lines as well. Regardless of drone position or distance from the photographed object, the software scales to keep measurement accuracy. Tracing the outer edge of a defect allows inspectors to understand exactly how large a corrosion area is. Switching between imperial and metric is an easy click of a button, making it effective regardless of where you’re from! At our drones 5ft. collision avoidance bumper distance, the Photo Measurement Software features sub centimeter accuracy. Recently, Interactive Aerial was called to a paper plant for an emergency inspection of a bleach tower. Our team was asked to inspect damage caused by a power washer that had the spray setting far too high. It marred the brick lining and fiberglass cone at the top of the tower. Engineers wanted to assess the fiberglass damage without scaffolding or rope access and see if they could hold off on repairs until the next scheduled outage. Interactive Aerial had the drone deployed to the top of the bleach tower in a matter of minutes. This picture captured by the Legacy One was taken about 8ft. below the damaged section. The full 180° camera pan allowed the pilots to look straight above the drone and take clear photos of the fiberglass cone. Inspectors then uploaded the high-resolution pictures in IA’s Photo Measurement Software. Here is an example of how inspectors measured the damage caused by the power washer; they measured straight line distance and total surface area. Plant engineers decided the fiberglass impairment was within tolerance and the asset was safe to put back into service for another year. By not immediately repairing, it saved the company an additional four days of downtime on that asset, which equated to over $2.5M dollars of lost operating revenue, a successful win for the Legacy One and the Photo Measurement Software.